WEAVE is a research network connecting scholars studying the interplay of heterodox spiritualties with Modern western art and visual culture. Scholars of all disciplines, interests, backgrounds and convictions are welcome. 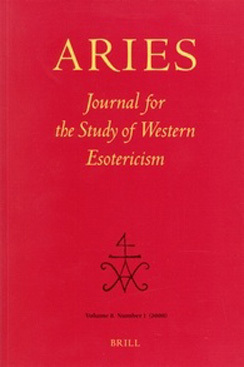 The phrase “heterodox spirituality” includes Western esotericism, occultism, occulture, mysticism, alternative Modern spirituality, and contemporary spiritualities. 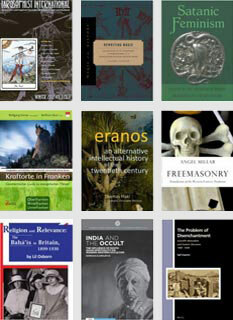 visual culture, including the screen arts, the performing arts, and architecture, as well as design, painting, the graphical arts, sculpture, mixed media and applied arts; to be furthermore extended to other arts such as literature and music when there is an obvious visual component presentundefinedi.e., word/image, text/performance, music/image or image/structure relations. Outsider art, marginal or peripheral cultural expressions, popular culture, folk culture, etc., is emphatically included. Contact: Studynetwork [dot] weave [at] gmail [dot] com.